Come have fun and make friends in our After School Program! Our after-school pick-up program in San Antonio, Texas, helps kids develop an active lifestyle and make friends. With extra-curricular activities in public schools being downsized rapidly, it's important for children to have something to do after school. 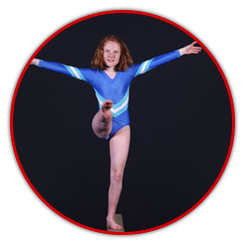 Sunburst Gymnastics Academy has the perfect solution in addition to our regular classes. Sunburst is not a State licensed day care, but offers a "gymnastics only" after school pick-up and care program. After-school activities are especially important to developing young minds and bodies, so we offer affordable tuition rates for our pick-up program. A written notice is required 30 days prior to withdrawal. Never worry about scrambling to find a babysitter for your child because our program follows the NISD school calendar. We make sure we are always prepared to host your child after school, and we cannot offer refunds or make-up days for illnesses, holidays, or other missed days. For your child's safety, we require notification if your child will be absent or if someone else will be picking up your child. A photo ID will be required by whoever picks up your child. Students must be picked up at 6:00 p.m., and a $5 fee will be charged for every 15 minutes that they are not picked up.